Born 1951. Studies of mathematics and physics, M.I.T. 1966-1968. D.Phil., Oxford University 1971. Habilitation, University of Bonn 1975. Member of academic staff, SFB Theoretische Mathematik, University of Bonn 1971-1984. Professor, University of Bonn since 1976. 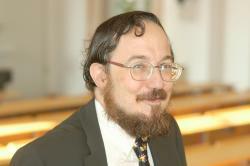 Chair Professor of Number Theory, University of Maryland 1979-1990. Professor, Kyushu University (Fukuoka, Japan) 1990-1991 and 1992-1993. Professor, University of Utrecht 1990-2001. Scientific Member, MPI for Mathematics since 1984. Director, MPI for Mathematics since 1995. Professor, Collège de France (Paris) 2000-2014. Distinguished Staff Associate, ICTP, Trieste since 2014. Carus Prize 1984. Frank Nelson Cole Prize 1987. Karl Georg Christian von Staudt Prize 2001. Member of the National Academy of Sciences 2017. Find more information on Don Zagier's personal web page.